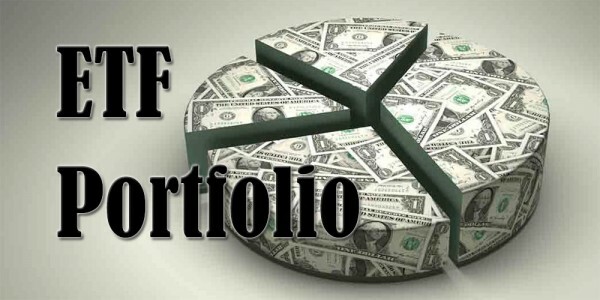 This post has been a long time coming, as the dividend growth investing community still has one major shortcoming, but it wasn’t until recently that I had some time to sit down and do the research. While United States-based investors rely on David Fish’s Dividend Champions list and the United Kingdom boasts an equally impressive list by Trevor Witten, an extensive record of European dividend stocks is lacking. Today I’d like to fix that. 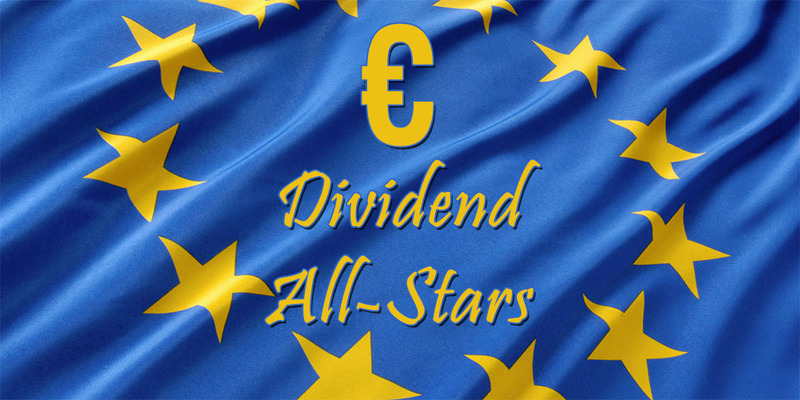 Enter the Euro Dividend All-Stars list I’ve been working on for the past few weeks. Of course, it’s still a work in progress as it’s impossible for just one man to sift through the thousands of European companies listed on a multitude of stock exchanges. So for the time being the list is mostly limited to stocks with the largest market capitalisations in a couple of Euro countries. Indeed, I’m focusing on countries that have adopted the Euro as their official currency. As such, European countries like Switzerland, Sweden, and Norway don’t make an appearance, even though they are also home to some excellent dividend growing businesses. Although it makes sense to adopt the terminology applied by David Fish and used by so many of you, the truth is that I’ve confirmed only two European companies that have maintained or increased dividends for more than 25 years. On top of that, it’s nearly impossible to track the dividend streaks of European companies for more than 14 years even though the actual years of dividend increases could be much higher. If you’re interested in checking out my list, you can do so by either downloading a Microsoft Office Excel version that’s up to date as of February 6th, or you can view the live Google Sheets version that’s updated automatically. As you can see, my work is far from done, so that’s why I call on you, my faithful readers, to help complete the list and dispel the often-heard myth that European stocks don’t maintain and increase their dividend payments like their American brethren do. Feel free to suggest any Euro denominated stocks in the comments here or shoot me a short message through my contact form. If you have any further comments on the methods applied or the presentation of the All-Stars list, let me know as I’ll take your feedback to improve the list over time. Together we can make this spreadsheet into an essential instrument in the dividend growth toolbox of every European and maybe even international investor. Kudos to you for putting this together. You are doing the rest of the community a great service. Interesting list and I see a few familiar names and few new ones. Unfortunately, a lot of them arent available to buy here in North American markets. Still good to see the peers across the pond. Thank you! I sure do hope some people find my list useful and that it gets some more talk about European dividend growth stock started. Is there any specific reason as to why you would only buy listed ADRs instead of the stock on its original exchange? All of my investment is in tax advantaged accounts. And for those accounts, I am limited to buy securities only in some exchanges. There are limitations in that I cant stocks even on the Canadian venture exchange (TSXV). I could potentially trade in non-registered accounts, but considering I have plenty of room in my tax-advantaged accounts, I’d rather take advantage of it. Gotcha, that makes a lot of sense! We don’t have to take tax-advantaged accounts into consideration over here, so it’s of no issue. Attached is a screen shot of the companies that I watch as Dividend kings in Europe and the US. As a sorting mechanism I like to use a market cap of 40 Billion and the companies have been giving out dividends for at least 25 years in the US and 5 years in Europe. The second sheet is the dividend heavy Germany companies. Thank you! I also received your e-mail and will definitely check your stocks out. Looking forward to add a bunch of German companies. Nice work! Did you consider Philips (AMS:PHIA) ? I’ll keep your list in mind! For some reason I must have overlooked Philips! It sure does qualify for this list, which is weird considering I keep hearing that Philips isn’t doing too great lately. I have added PHIA for future versions! I’ll be adding some of these to my watchlist. I’ve looked for a long time too, but couldn’t find anything. So that’s why I decided to take matters into my own hands. It’s far from perfect, but over time we’ll get there. If you have any further companies that qualify for the list, be sure to let me know! Nice list. So it seems you have found Texaf. The yield is low, but it is a nice company. I do have a small position in it. I could probably add some stocks, but I need to find my own sheets. I guess HAL trust might fit the list to. Sure did! It’s a weird little company, but so profitable. Over time I think the yield will grow quite nicely. As such, I’ll propably add it to my portfolio at some point in the future. I’m not sure HAL qualifies as I can’t find consistent information on its website and my other sources contradict eachother. I’ll continue to be on the lookout. Be sure to message me if you know of any other companies that qualify. Hal is a bit difficult since they changed their payout to 4% of the average share price of december. In 2008 the dividend got lowered but apart from that the dividend is always rising. I found another one today: Sofina( holding controlled by the Boëll family), they didn’t lower their dividend since 1956. And the dividend was raised every since 1993 ( before that i couldn’t find any numbers). I’ll try to look into HAL a bit more, but I must say that there’s not much information on their website. Sofina was already on the list if I remember correctly. Could you provide me with a link to where you find the information on their dividend increases? NMW, thanks so much for this. Between you and Trevor, we’ve got our bases covered, nearly! Thanks for all the effort you or into your site, not just things like this, bit every post. You’re welcome! My list is a long-way from Trevor’s quality list, but we’ll get there in a couple of months. If you know of any other Euro dividend champions, shoot me a note. Thank you for the kind words. I really appreciate them. I love the effort – and I have yet to look at it. I plan to later this week when I have some free time. I am definitely interested in looking at the list, if for no other reason than I am a curious person. Compiling this list took a lot of effort, but it was definitely worth it. Now I have a massive list of European companies that I can add to my portfolio too. I hope you bump into some stocks that you could buy into. What a great list! And what a work you put in. After our last conversation on twitter I was composing a similar list. So I know how hard it is. Your excel sheets is way better than my writing on a little piece of paper. If I compare our lists, I see a lot of the same stocks. A few new names. Thank you! It took tons of work, but it was totally worth it. Thank you for the suggestions. I’ve already added Hermes and Reed Elsevier. Sanofi was already on the list. The other ones aren’t clear-cut, so I’ll have to look into them some more. If you could point me in the right direction, that would be much appreciated. Thanks for putting together the sheet, will have to go through them and see if any of these stocks are listed as ADR’s in the US. Hope you find something that suits your portfolio’s needs! Just like with R2R, maybe this weird question: is there any specific reason as to why you would only buy ADRs and not just the actual stock? Interesting list, never seen such a detailed version of European dividend stocks. One of the things I noticed was the very high yield of Kinepolis. I looked into this and noticed they had a 5-for-1 stock split last year so the actual yield is five times lower. Same thing with Unilever by the way, they had a 3-for-1 stock split in 2006 so the earlier dividend data has to be adjusted to get the correct long-term dividend growth rate. For Unilever I already made that correction if I’m not mistaken. That’s why you’ll see a green dividend payment in 2006. The dividend growth rate seems to match up nicely too. The reason I noticed it is because the 10-year dividend growth rate for Unilever is listed as -4.49% and as far as I know the company hasn’t had any dividend cuts in its recent history. In 2004 they paid dividends twice a year, 1.15EUR on 14 june 2004 and 0.63EUR on 26 november 2004. Then in 2006 they had a 3-for-1 stock spit. The 1.78EUR divided by 3 results in 0.148EUR on a per quarter basis for 2004. So the actual 10-year dividend growth rate is almost 7%. But I know it isn’t easy to make charts like these with companies doing splits and changing their dividend payment schedule so still a good job! You’re right! I already changed the numbers in my own version of the spreadsheet, but didn’t update the one I posted here yet. Making these lists is definitely not easy. There’s a lot of contradictory information out there – if you can find anything at all, that is. Ah, I didn’t notice that immediately. It was kinda weird though that Kinepolis was yielding as much as it did and that it had a payout ratio of over 100%. Thank you for clarifying, I’ve updated the list. Apologies to the non-dutch speaking readers. The tables are self explanatory though. Thanks for the article! I’ll definitely go through the companies listed there and add the ones I’ve missed to my own list. It’s kinda weird though how it’s hard to find any information on some of the stocks in Morningstar’s list. Congrats on starting your List – that’s awesome! I’ll add a link to your page from my blog. GLB, KYGA and PAP are three Irish companies with a dividend growth history although they may have a small market cap. Thank you! Took quite a lot of inspiration from your UK list. And I’ll definitely add a link to the UK Dividend Champions too once I’ve finished a dedicated page for my All-Stars list. I hadn’t run into these companies, so thank you for pointing me towards them. They’ll appear in the list when I push the next update out sometime next month. Thanks for making this amazing list, much much better than the (often incorrect) key metrics on Morningstar. I’m scanning your list right now. 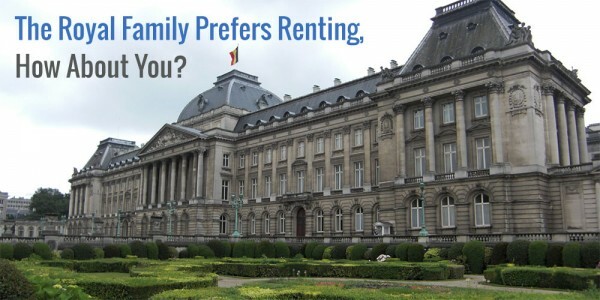 I think I’m going to use your list as input data for my stock selection algorithm, to see if there are any cool Belgian and European stocks I missed. Kinepolis looks pretty good so far, shame about the high DPR. Thank you for the kind words! It took a lot of effort, but it was totally worth it. Incorrect information is probably the biggest problem to finding European dividend growth stocks. Many websites track wrong dividend payments or can’t handle the 60/40 payment scheme. On top of that, many companies don’t offer a historical overview of their dividends, which is a shame. Kinepolis has been a great investment for a very long time. The DPR sadly is wrong in the current version of this list, as ThomasDV pointed out. I hadn’t taken the 5-for-1 stock split of last year into consideration. Awesome been waiting for somebody to make a list like this. Imma tweet this out! Thanks for getting the message out, AG! Like the others said you are doing the community at large a huge service. Good work NMW! I sure do hope so! The list has served me well already and I learned quite a lot researching all these companies. Thank you for sharing NMW. I am not that familiar with the European stock market but have been looking into diversifying my portfolio into that area. Your list will be a good place for me to start! No problem, you’re welcome! I hope you guys start buying more and more European dividend stocks now. Let me know if you decide to pull the trigger on any specific stock. Great job NMW and thank you for sharing. However, some candidates (for example, Solvay, Siemens, Danone, Colruyt, Ter Beke, D’leteren, Pernod Ricard) have frozen their dividends last years. This condition is enough to exclude them from the list (if you use the same criteria as David Fish’s CCC). More important is the fact that the number of years must be counted from the last increase in dividend, not the number of years the company has been paying a dividend. 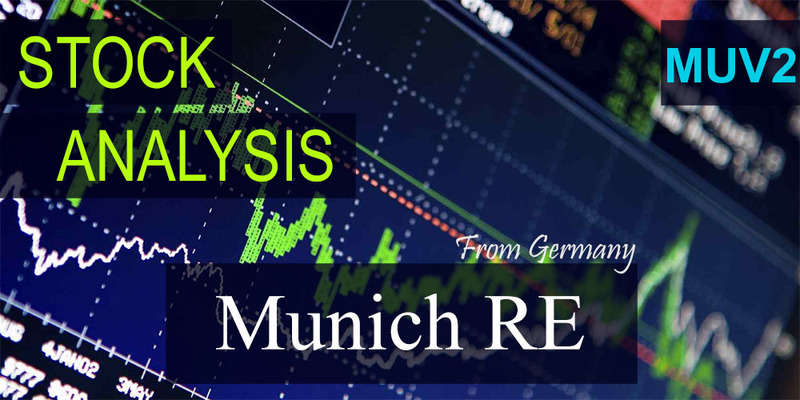 Wit this criteria 14 years of Munich Re transform actually in 2 years of increasing dividend, Solvay changes from 20 to 0 years, and so on. You’re welcome! Hope you find it useful in the future. I know that a lot of companies froze their dividends in certain years, which is a reason to exclude them if you follow David Fish’s CCC criteria. However, I decided to keep these companies on board as it is still useful to keep track of them. When more and more companies are added to the list, I’ll probably start looking for a way to distinguish between increased and maintained payouts. No problem, I’m glad to! I hope you find any new companies that you’d like to add to your own portfolio. With the ECB’s QE being much higher than previously thought, I believe 2015 will indeed see a major boost to most stocks, even though many companies are already on the high end of their valuation. I guess we’ll have to wait and see! As a Dutch DGI I was looking for such a list already for a long time. Great, thank you very much for the additions! Wolters Kluwer was already on the list, but I hadn’t heard of Acomo yet. I’ll check it out and add it to the next update. Just checked ACOMO (Amsterdam Commodities) and it has increased or maintained dividend for 13 years, and in 17 years only reduced divided once. I would say it qualifies. 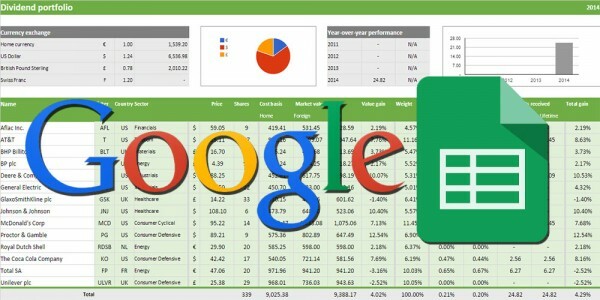 Nice to have found this list (and learned some nice tricks using Google Sheets as well). Have you looked at Sligro Foodgroup for your list as well? It’s a steady, Dutch grower as well.